In Johanna St. John’s recipe book, the mysterious “Banister’s Powder by Dr Bates” lay nestled between the equally intriguing “Mrs Archers way of makeing My Lady Kents Powder” and the beginning of the letter “R” section of St. John’s efficiently organized recipe book. There is no indication what type of recipe this “Banister’s Powder” was, besides a powder, or what it’s intended use was. Following several pages of recipes for “pox” and “pills” this “Powder” is the tail end of St. John’s letter “P” section, however, even knowing this context offers little information. 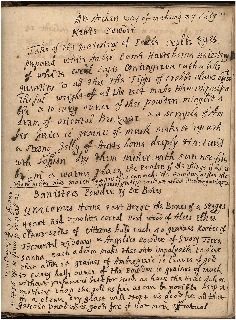 An analysis of the “Banister’s Powder” ingredients suggests a link between St. John’s early modern medicinal recipes and the presence of magical beliefs associated with medicine in the early modern period. The first three ingredients required to make the “Banister’s Powder” are: powdered Unicorn horn, east bezoars, and the “bones” of a stag’s heart. Each of these ingredients had longstanding associations with the belief they were capable of preventing or countering the effects of poisoning. To a modern eye, these appear strange items to reside alongside many complicated recipes which rely on an expansive knowledge of medicinal, rather than magical, properties. These ingredients indicate that magical beliefs remained acceptable practices among home practitioners in the early modern period. This is possibly because the science to disprove them was not advanced and medical practitioners were only beginning to be skeptical and move away from such unreliable remedies. The prevention and cure of poisoning was a genuine concern before and throughout the early modern period. It was quite common to be bitten or stung, to consume poisonous berries, roots, or herbs, or to believe a spell had been cast by a witch (Jackson, 96). It was also common for physicians to diagnose poison as the cause when they could not determine the source of an ailment (Auble, 17). This led to the necessity for remedies to detect, prevent and cure poisoning. Unicorn horns were actually believed to come from the mythical creature and possess its symbolic purity and strength, though they were most often a narwhal tooth or powdered rhinoceros horn. The horns were commonly powdered and used in poison antidotes or as vessels to drink from before or after ingesting poison (Jackson, 97). 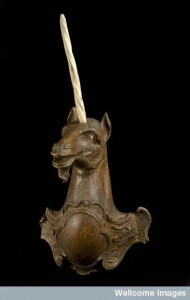 Unicorn horns were also believed to have properties which allowed them to detect poison (Knight, 245). 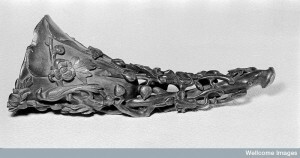 In addition to being thought to detect, prevent or cure the effects of poison, the horns were also thought to strengthen your heart, relieve headaches, resist the plague and pestilence, expel measles and small pox, and cure “falling sickness” in children (Brockbank, 3) all of which were reoccurring ailments in the early modern period. 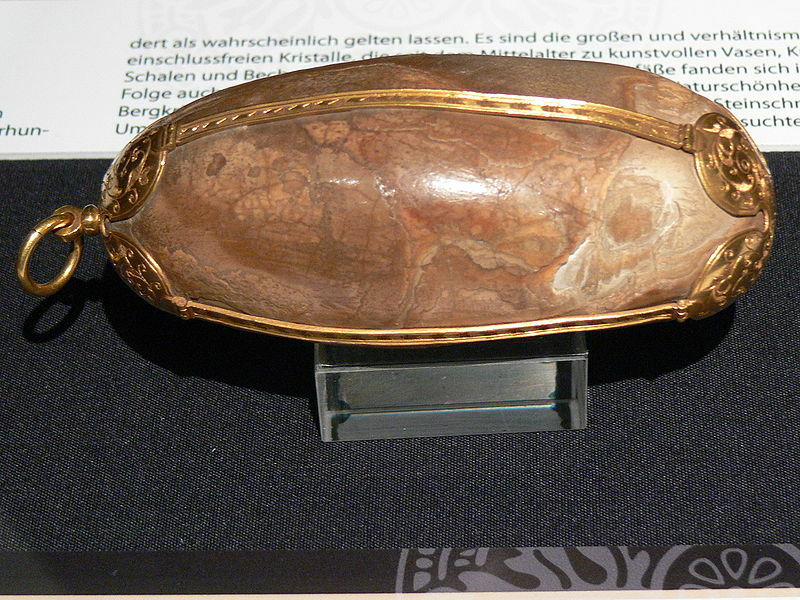 Bezoar stones were solid masses from the intestines of goats, sheep or deer that were primarily believed to detect poisons but also, in some cases thought to provide a cure if small amounts of the stone were consumed. “Oriental” or “East” Bezoars, as St. John called for, were the most valuable type which came from a Persian wild goat (Jackson, 97). It was occasionally consumed, but more commonly mounted on a chain and dipped in to drinks to nullify the effects of poison if there was any (Jackson, 97). Queen Elizabeth I reportedly kept one “sett in golde hanging at a little Bracelett … The most parte of this stone being spent” indicating the Queen mounted and consumed her stone (Auble, 18). The belief in the magical powers of the “bones” from a stag’s heart originates from a folk tale. The tale is that stags ate poisonous snakes by sniffing them out of holes and then after which they rushed to drink water. The “bones” in their heart were believed to be what protected the stags from being poisoned. The “bones” were actually caused by the degeneration of arteries into flat, oblong bone like objects. Powdering and consuming this “bone” was seen as a preventative measure to protect against the effects of poisoning (Jackson, 97). Unicorn horn, bezoars and “bones” from a stag’s heart, were the key ingredients to the “Banisters Powder” in St. John’s recipe book. Because of the longstanding beliefs about these ingredients and their associations with poisoning detection, prevention and cures, this recipe was perhaps intended to cure or prevent poisoning. One can imagine the remedy would have been thought to be fool-proof against poison because it combined the powers of each of these ingredients. Although there was a movement away from magical remedies and cure-alls among physicians in the Early Modern period, belief in the curing power of magical objects was still present in the lives of home practitioners such as Johanna St. John. What we would consider scientifically impossible, they were only beginning to discover. A strong belief in unexplainable phenomenon was common practice and popular beliefs are difficult to dispel, especially when they hold significant symbolic value. Just the other day the North Korean state media associated the discovery of a Unicorn Lair with their new young leader. It is hoped this association would strengthen the nation’s confidence in their young leader because of the symbolic meaning of the Unicorn and its ties to the state’s history. This example illustrates that a belief in the symbolic power of an object, like a Unicorn or its horn, bezoars, or “bones” from a stag’s heart can transcend both time and logic, persisting even when its truth is questionable. Auble, Cassandra. “The Cultural Significance of Precious Stones in Early Modern England.” Dissertations, Thesis, & Student Research, Department of History, University of Nebraska Paper 39 (2011). Brockbank, William. “Sovereign Remedies: A Critical Depreciation of the 17th-Century London Pharmacopoeia.” Medical History 8.01 (1964): 1-14. Jackson, William A. “Antidotes” Trends in Pharmacological Sciences 23.2 (2002): 96-98. Knight, Katherine. “A Precious Medicine: Tradition and Magic in Some Seventeenth-Century Household Remedies” Folklore 113.2 (2002): 237-247.